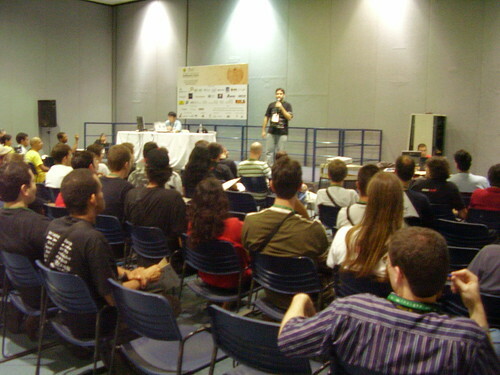 Every year in Porto Alegre, Brazil, is placed the biggest free software event in the world. 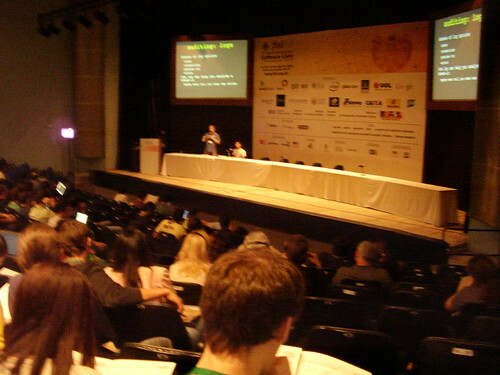 Is the International Forum on Free Software, FISL. This year the event counted with 21 countries, 257 presentations and more than 7 thousands hackers, students, developers and entrepreneurs together sharing knowledge and making friends. 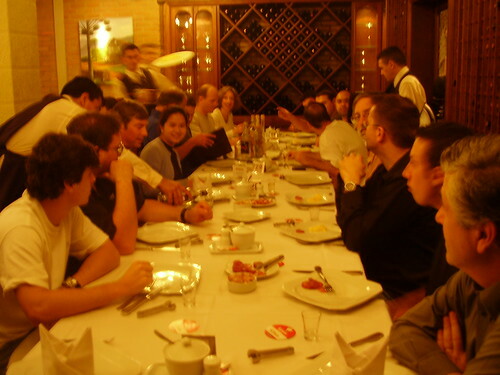 Just a few hours after NetBeans in Fortaleza. 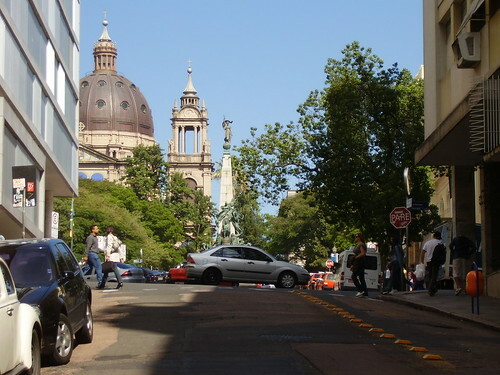 I was flying to a long trip to Porto Alegre (almost a entire day) to join in three events, the FISL 9.0 itself and also OpenSolaris Day Porto Alegre and Javali 2008. I like my coffee like my Solaris, Express. :P Installing a newer version during a free time in the airport. 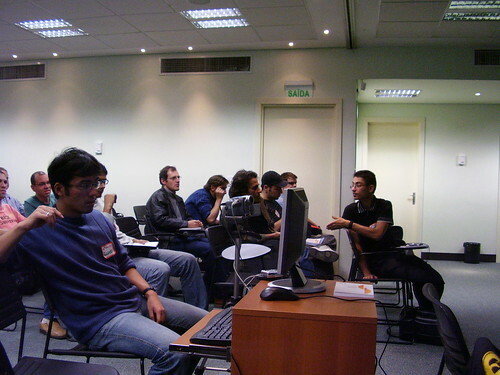 At OpenSolaris Day I presented High Performance Computing and OpenSolaris showing an introduction about parallel computing concepts and a little bit about how to take advantage of OpenSolaris for HPC, using tools like ZFS and Dtrace for OpenMPI. Was a good presentation and I got good questions. After the OpenSolaris Day/Javali 2008 we all had a pizza party. I was really sick during my presentation, I’m not familiar with temperatures beyond 25° and that day was 8°. The presentation I prepared for FISL was “NetBeans: Beyond Java” showing a little bit how you can use NetBeans to develop using Ruby, C, C++ and others languages. I’d like to show that NetBeans is more than a Java IDE. I showed more about the Ruby and Ruby and Rails integration. 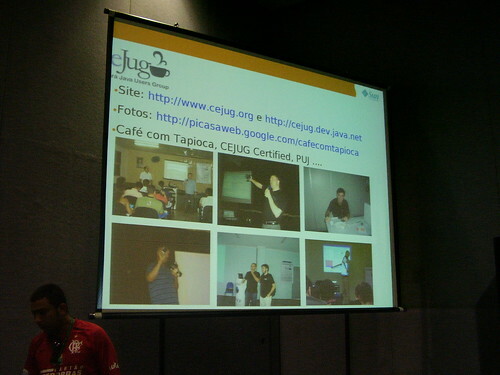 My second presentation on FISL was about JavaFX. This presentation was not really planned and I have just a couple of days to organize it. Fortunately I contacted the JavaFX community from openjfx project and immediately I got a lot of help to build some material. A very sincerely and special thanks for James L. Weaver who helped me immediately a lot. Thanks too to the Planet JFX community and their material. Was really a good demo. I was more relaxed than in my Netbeans presentation and also I got a excellent feedback. Thirtankar Das talked about project Indiana. 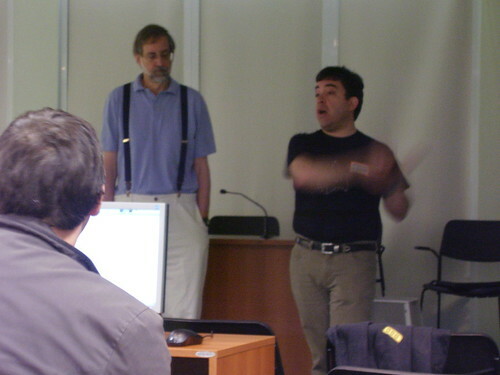 Rafael Vanoni talking about OpenSolaris kernel scheduling. Roger Brinkley talking about PhoneME. Fracois Orsini, me and Ted Goddard. Gregg Sporar on Java memory leaks. 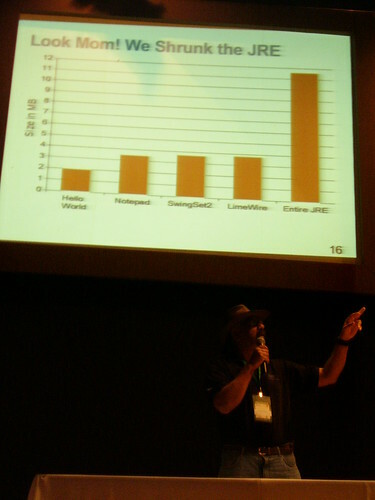 Raghavan “Rags” Srinivas on Java runtime. Louis Suarez-Potts and Vitorio Y. Furusho talking. See also this excellent interview with Louis. Rich Sands also on OpenJDK. Gary Thompson showing a Sun SPOT vehicle. 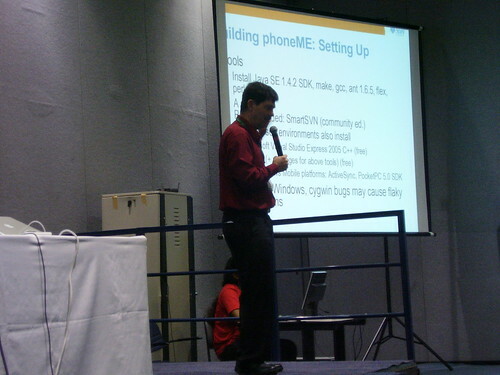 Rafael David Tinoco on UltraSparc and OpenSparc. Sérgio Amadeu da Silveira, Roberto Andrade e Marcelo D’Elia Branco in a informal retrospective about Campus Party. Lucas Bortolaso Torri and Bruno Cavaler Ghisi talking about Marge Framework. Be at FISL was a dream for me for a long time and finally I could achieve this year, and more specially participating as speaker. In the other hand, I spent lot of time finishing and preparing my demos and could not completely enjoy the event itself, but was a really good event, I meet a lot of people I only knew by mails lists and also meet a lot of people from Sun’s staff. ps. : I took hundreds of photos. There a set of them in my Flickr. ps. 2: I tried to put the name of all who appeared in my photos. If I did a mistake, let me know, please. ps. 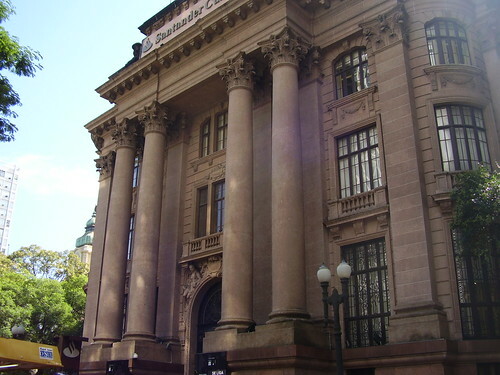 3: I had a problem with my file system and I lose those slides I presented in FISL. 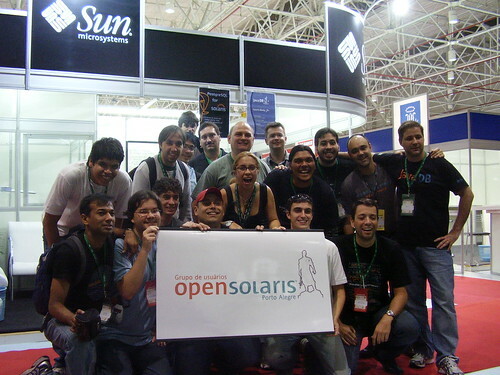 :( The only available is High Performance Computing and OpenSolaris.